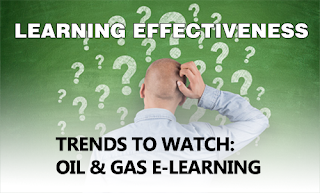 Today's oil and gas companies must contend with many issues related to the safety, reliability, and environmental performance in running a successful plant. Incidents, near-misses, plant upsets, and production mishaps pose a constant threat to safe and efficient operations. The fundamental ability to capture, transfer, and validate worker knowledge is critical to success. Employees can attend training sessions, but having gone to training doesn't mean they learned. When it comes to safety, productivity and performance, what your employees know is more important than what their records may say. To truly know a topic, there must be understanding of concepts, attachments to prior knowledge and the ability to apply the new knowledge. How can you be sure your employees have the knowledge they need? How can you be sure the learning outcomes have been achieved? One aspect of learning that draws much criticism is testing. Most of us are familiar with testing from our school days as a means to attain a result. The result is pass or fail; qualified or not; certified or not. However, when viewed as a way to assess knowledge, a "test" serves more purpose than merely notating a final grade. Assessments and quizzes can be used to promote learning and shape the learning path. 1. Placement assessment is used to determine what the learner knows about the content prior to training. Useful in planning or as an individual predictor, this assessment identifies where knowledge gaps exist so that individualized learning paths can be created to meet each learner’s specific needs. As an aggregate predictor, placement assessment results can identify where groups of learners need feedback or additional learning. 2. Formative assessment is used during the instruction to determine how the learner is progressing and to provide immediate feedback to the learner. These assessments and quizzes make learning stick. As a learning aid, answering a series of questions or responding to a quiz after covering a topic is a great way to monitor one’s own learning – it gives instant feedback so learners can find out what they know and what they don’t. These challenges make learners participate more actively in the learning process and create memory. During the assessment, the learner actively recalls the details from short-term memory. These "practice recalls" help to ultimately reinforce learning. 3. Summative assessment is used at the end of the course to determine the mastery level of the learner and determine if they are proficient or must receive remedial training. The crucial foundation for identifying gaps is understanding what knowledge is required. Defining what is actually required for best job performance involves recognizing every single procedure, issue, or parameter that could affect that job. When all requirements are defined, a thorough assessment can identify gaps in the total required knowledge. The appropriate learning modules must be delivered consistently to each individual based on their current abilities. Well-designed learning content incorporates proven Instructional Design Methodology (ISD) with relevant content to produce effective, engaging programs geared for adult learners in technical industries. Incorporating self-teaching quizzes and knowledge checks keeps learners involved in the learning process and aid in recall and self-correction. The actual knowledge acquired must be measured against the defined knowledge requirements. This requires well designed assessments and strategies for remediation. When competency is not attained, the personal learning path must be adjusted and the appropriate remediation completed until 100% proficiency is reached. 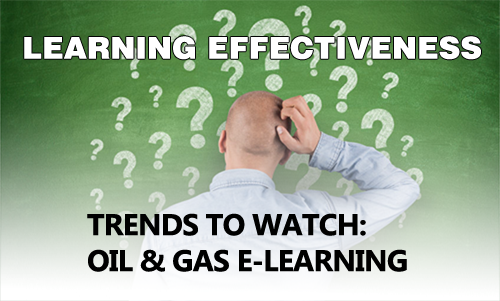 PetroSkills RDC Solutions is in a unique position to close the knowledge gaps through e-learning. With over 50 years of knowledge transfer experience in the oil and gas industry, we've worked with leading companies, licensors, and manufacturers gleaning industry experience and technical know-how. By optimizing learning with proven instructional design methodologies and e-learning technology, we enable our clients to improve performance while reducing risk. Visit our website www.petroskills.com/rdc or contact us via email at solutions@petroskills.com.